A collection of unique and beautiful handmade soaps to make every celebration extraordinary..
"Anyone who knows me will tell you I love soap. What do you get when you combine age-old Italian Chef with Brazilian Naturalist? chemical-free hives and Farm fresh goat's milk, this bar soap is giant in moisture,, and nourishes your skin.. Male Body and face soap --so he can get a perfect shave anywhere. it's a whole lot cheaper than a ticket to the Dead Sea. "— wrote Ismael. Jasmine , Lilac and Lavender (French Soaps) -inspired by 18th-century botanical for women - seductive, beautiful fragrance. Like a beautiful, blooming French garden. Four moisturizing variety , soaps beautifully scented with notes of tangerine, peppermint,coffee or honey milk's. Goats Milk Soap with Honey Blossom For Everyday Use. Lavender Jasmine Soap -Aged Limited Edition 9 oz. Aged Sea Kelp Varech Handmade Soap with Cocoa Butter 12 oz. 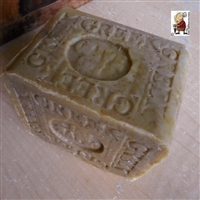 Aged Natural Handcrafted Lavender Geranium Soap 12 oz. Provence Lavender Aged Soap with Dead Sea Mud Natural Limited Aged 12 oz. 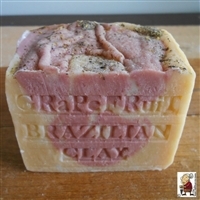 © Copyright 2016 Natural Handcrafted Soap LLC. All Rights Reserved. Built with Volusion.